Action speaks louder than words! 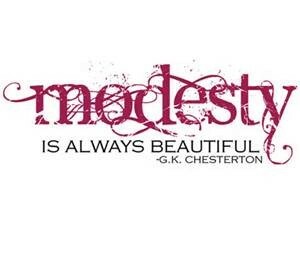 Everyone has heard this phrase, but have you given it much thought in relation to modesty? How you behave around others is an indicator of your true character. Even the things that you do in the privacy of your own home can divulge your true character. What you think is private may not end up that way. A classic example is “sexting” – sending private pictures containing sexual poses to a supposed “lover” over the phone, only to see them splashed across Twitter and other social media sites.